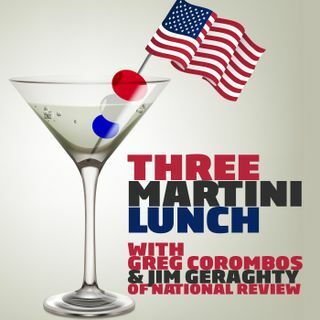 It's a very busy day on the Three Martini Lunch. We begin by thanking Townhall.com for highlighting our podcast and close by discussing the sentencing of former Trump lawyer Michael Cohen and the most popular Christmas movies in various states (three states get it right and Nevada, of course, is very wrong). In between, we tackle three big martinis. We applaud President Trump for keeping the cameras rolling in Tuesday's border wall discussions with Nancy Pelosi and Chuck Schumer ... See More and plead for more transparency in our government. We groan as a no confidence vote for British Prime Minister Theresa May unfolds after her failure to get a Brexit plan approved. And we shake our heads as a judge orders Stormy Daniels to reimburse President Trump nearly $300,000 in legal fees, but attorney Michael Avenatti says it's not a win for Trump because he's really sure he'll win his other case against Trump.